Leather Cleaner Sheffield Review by Mr Watkin of Sheffield. Upholstery Cleaning Review by Mrs West of Sheffield. Upholstery Cleaning Review by Mrs Dawes of Skye Edge, Sheffield. Carpet Cleaning Review by Mrs Hicks of Sheffield. Carpet Cleaning Review by Mr Campbell of Sheffield. Carpet Cleaning Review by Mrs Pryce of Sheffield. 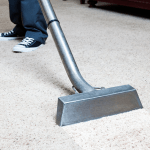 Carpet & Upholstery Cleaning Review by Mrs Jessop of Sheffield. Carpet Cleaning Review by Mrs Tear of Sheffield. Carpet Cleaning Review by Alison Tear of Sheffield.